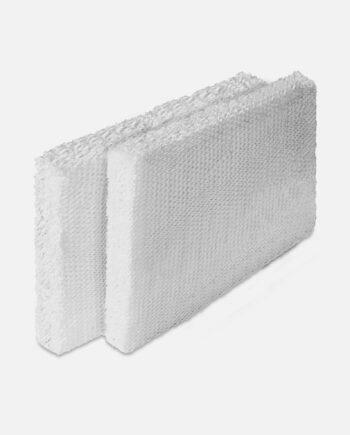 Coverage up to 1,000 sq. ft. Introducing the EVDC500 — our new whole-room, two-tank evaporative humidifier with an Energy Smart™ DC motor. 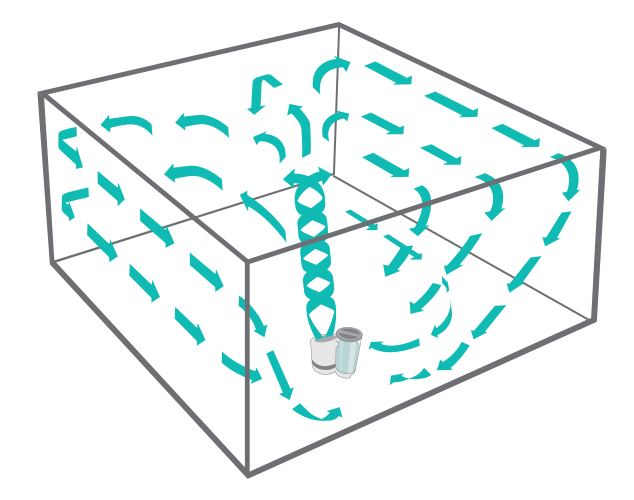 With more power than a standard Vornado, it delivers our whole-room humidity circulation using 90% less energy*. 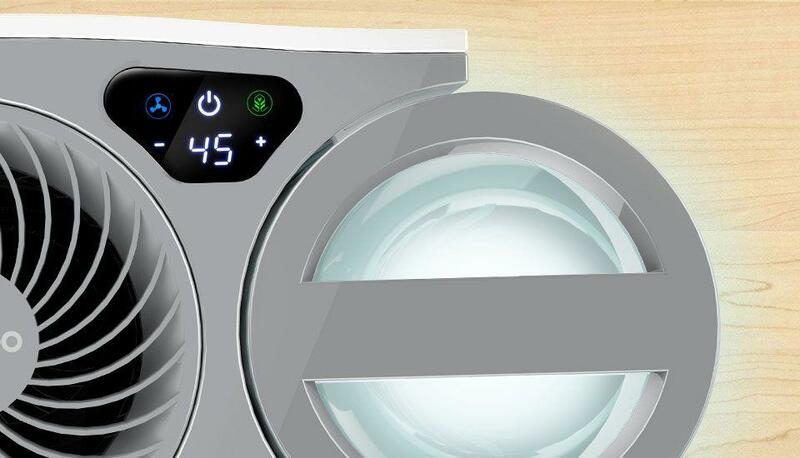 Pressing the leaf button saves even more energy— automatically turning off if it runs out of water. The minimalistic design features clear, easy-fill 1-gallon tanks that are simple to use and maintain, with a low-water indicator that shows when it’s time to refill. 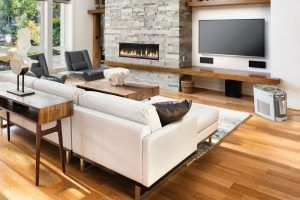 Customizable humidity settings paired with precise auto humidity control allow you to tailor the natural evaporation process, leaving a perfectly humidified space free from the white dust that mist leaves behind. 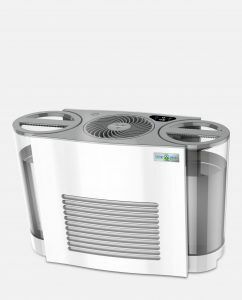 The EVDC500 ensures a comfortable breathing environment with the peace of mind of a 5-year satisfaction guarantee and 10-year motor warranty. 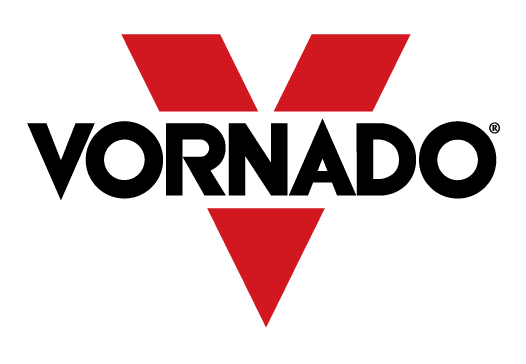 * Versus comparable Vornado AC motor-driven humidifiers. 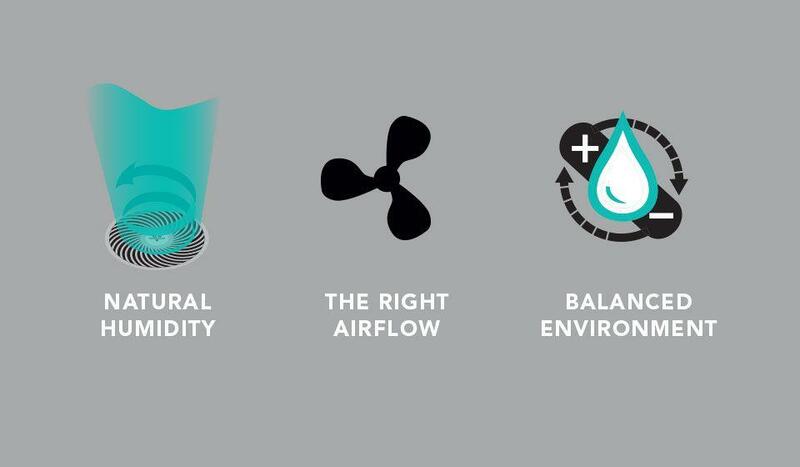 Plug in a Vornado Energy Smart™ humidifier and you’ll automatically use up to 90% less energy than you would with a comparable AC motor product. That’s something to smile about. Maximize efficiency with just one button. With Energy Smart™ Mode, humidity circulation is controlled automatically using as little as 1 watt to keep you comfortable. To use the least amount of energy while enjoying a precisely humidified space — just push the leaf. It lets you know when it’s low. 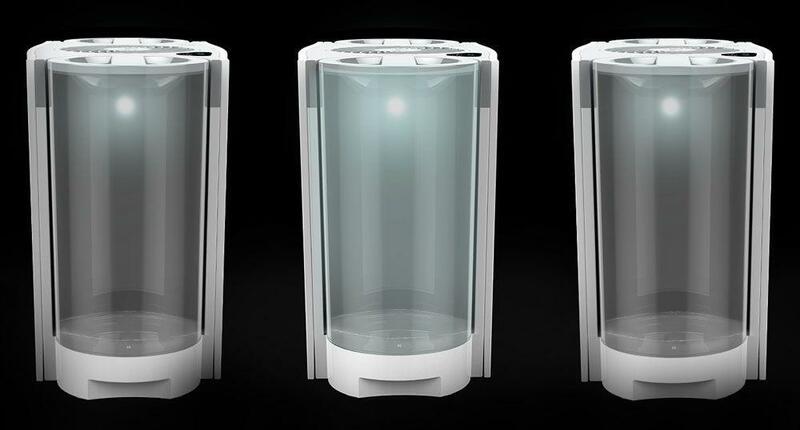 Refill your SimpleTank™ when the light starts pulsating. 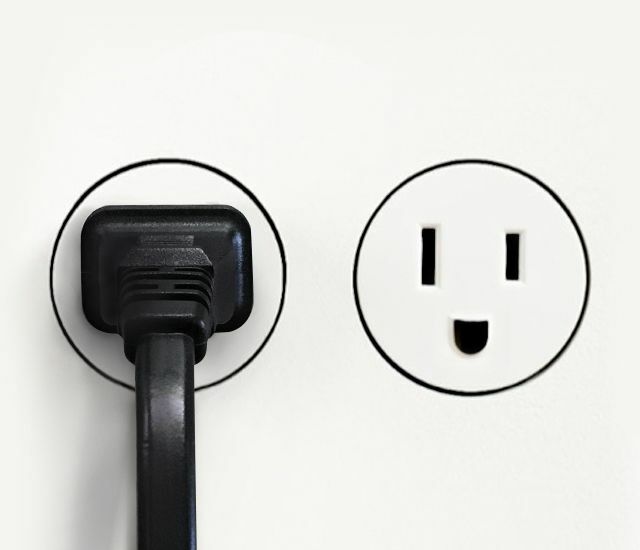 If you are unable to, the EVDC will automatically shut off when all of the water has been used. 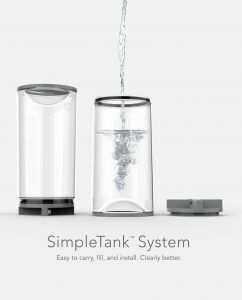 Introducing the SimpleTank™ System. 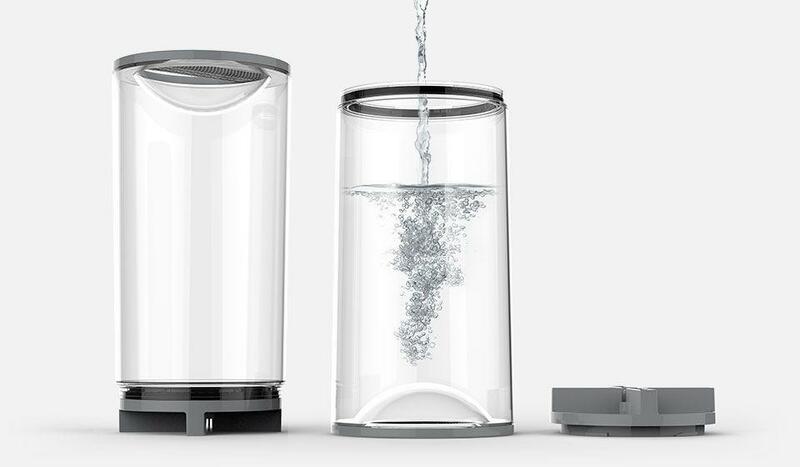 Using a humidifier should be easy, so we made carrying, filling and cleaning the tank, well, simple. 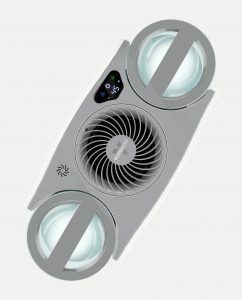 The Vornado senses how much humidity and circulation is needed to maintain your ideal environment and makes adjustments automatically.  A Vornado humidifier uses special airflow called Vortex Action to humidify all the air in the room. The air flows fast and gentle to create a consistent, natural comfort unlike any other. We believe in our Energy Smart™ DC humidifiers — we back each one with a 5-year satisfaction guarantee and 10-year motor warranty.